Expect a lengthy upgrade process, however. 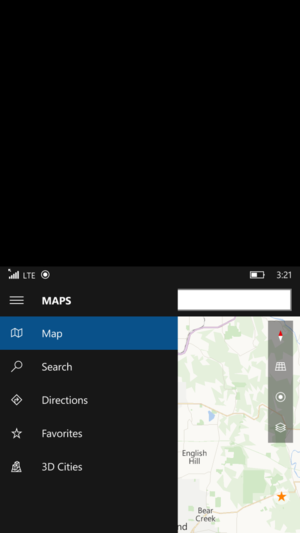 If you despaired that Windows 10 Mobile would add new features before its launch this fall, good news: Build 10536 include better Photos management and a new universal one-handed mode. But the upgrade process is more labyrinthine than usual, and Lumia 1020 owners may want to skip it entirely. Microsoft was supposed to release a new build of Windows 10 Mobile last week, but a bug that would have prevented it from upgrading to a future build caused it to be put on hold. 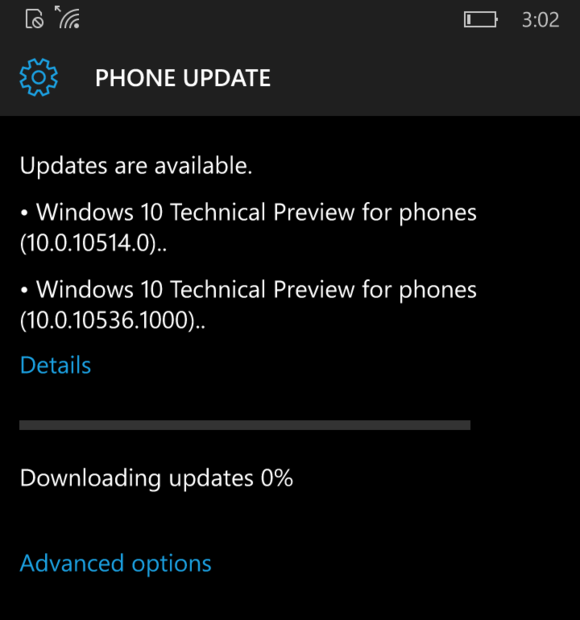 In its place, Microsoft pushed the latest build, which will require multiple updates: if you’re upgrading from build 10512, you’ll actually download three builds: build 10514, then build 10536, and then on to yet another build, 10536.1004. If you’re on Windows Phone 8.1, however, you can jump straight to the latest build. Just sit back and wait—this upgrade may take a while. Fortunately, many of the major bugs that earlier builds introduced have now been fixed: mobile hotspot functionality, for example, was broken by build 10512. Quiet Hours support has returned, delays in showing the date and time on the lock screen have been eliminated, and two-factor authentication has returned as well. The Windows Feedback app also makes a comeback. Why this matters: With Microsoft expected to unveil new Windows 10 devices in a few weeks, expectations are high that flagship phones are waiting in the wings. 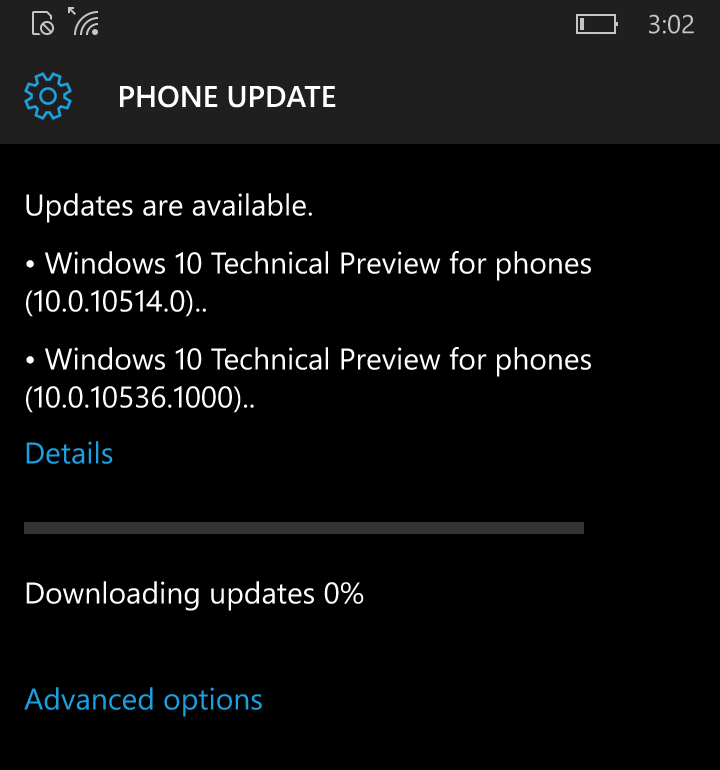 But is Windows 10 Mobile itself ready? So far, it appears that Microsoft has some work to do. One big question now is whether Microsoft will announce new flagships, wait to ship Windows 10 Mobile on them, or ship both at the same time. The new build also adds two new features: an updated Photos app (above, top, in landscape mode), with a new folder view that separates photos stored on OneDrive from photos on the device, a new favorites view, and faster zoom and panning. 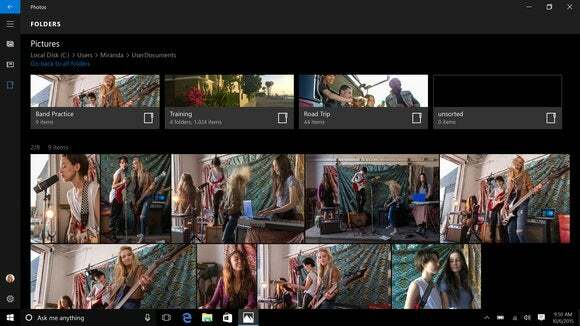 The new app also is appearing first on the phone; Windows 10 PC users will see that updated Photos app next, Microsoft said. The Windows 10 Mobile one-handed view slides the phone’s content within reach of your thumb. Microsoft also added a universal one-handed view, regardless of the size of your phone screen: Simply hold the Start button for several seconds, and your screen will slide down in range of your thumb. Microsoft previously reserved the one-handed view for larger phones like the Lumia 1520, but has since opened it up to everyone, the company said. The new build has its disappointments. One of them is that Microsoft has held back the Lumia Camera app until this fall. This may not be a big deal to most Windows Phone owners, but those who own the Lumia 1020 won’t be able to capture 41MP images without it. The fixes? Patience, or turning back time. “The easy solution is to wait until the app is available in the Store. If you don’t want to wait, you need to use the Windows Phone Recovery Tool to return to Windows Phone 8.1 in order to get the app back,” Microsoft said in a blog post. After installing the build, issues may arise with uploading photos to OneDrive, unless the latest version of the app is installed. There’s also a mysterious “zStorage” item that appears under the Settings—don’t click it, or the app will crash. A hands-on evaluation is in the works, whenever the update finishes downloading (it's taking forever). If we see anything noteworthy, we’ll tell you.